In the past twenty years there has been a slow shift in education and the changing role of the teacher in schools. Teachers have been asked to transition from being the "Sage on the Stage" to being the "Guide on the Side." Similarly, professional learning leaders have been asked to transition their own practice in ways that make the learner responsible for discovering the content themselves and in turn putting into practice the necessary skills using the learning strategies that work best for them. Professional learning leaders must develop strategies that are broad enough to provide choice for individuals, while focused on developing a shared vision that will allow all participants to feel part of the group. 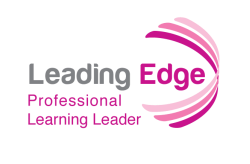 There are a variety of different models currently available which will provide professional learning leaders with the foundational research and information necessary to develop their personal vision. The research contained in this module represents some of the more well known models used in schools today, they are not the only models used and in most cases individuals develop their own vision by taking parts of several different models and using them in ways that work best for them. The video at this link from the Association of Supervision and Curriculum Development (ASCD) describes the process of creating a vision in a school site. While professional learning leaders can have varying levels of responsibility and oversight, the concepts and steps to creating a vision apply across all environments. While a school site may have a seemingly "built-in" set of stakeholders, part of the professional learning leader's challenge is to find the stakeholders that exist is creating ones own vision for growth and continuous improvement. View the video and consider your environment and what steps need to be taken to create or clarify your own vision. Have you had the opportunity to develop a shared vision in your current or past environments? What was successful and unsuccessful about the process used? Who might you be able to use as your own personal "stakeholders", or your own team, to help craft a vision for your professional learning leadership? In order to become a true learning leader, it's important to determine ones place within the larger organization or system and how each of the parts work together. A ​​Professional Learning Community (PLC) (DuFour) can be created out of any team of individuals who choose to come together and make effective change. 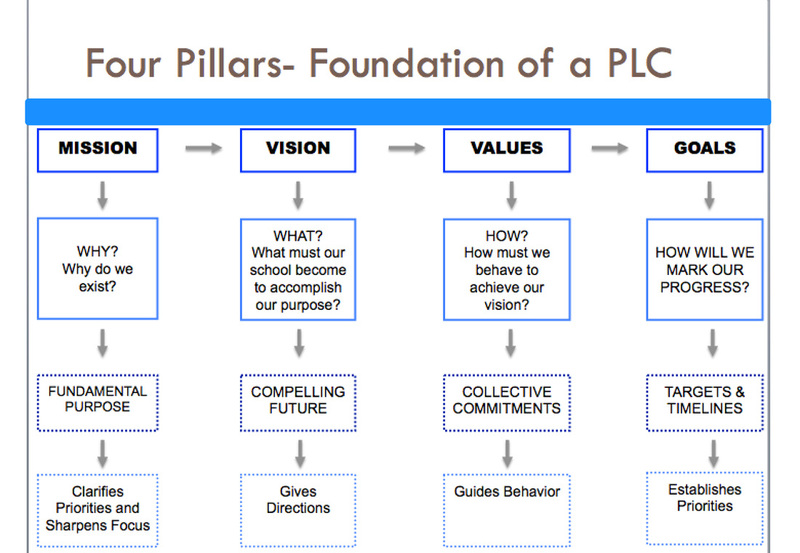 However, there are six essential characteristics of a PLC. In addition, another piece of research to consider is the work of Michael Fullan. In his book, Leading in a Culture of Change, he provides a framework for leadership that can result in what we all strive for: "More good things happen; fewer bad things happen." Briefly review this pdf that highlights the important concepts of leadership in a changing world. Furthermore, considering the implementation of Common Core in a great majority of states throughout the United States, it is important to recognize the changing emphasis of learning to a more project-based learning structure. The Buck Institute for Education (BIE) has been a foremost authority on Project-Based Learning and ensuring its authentic implementation. The concepts in a Project-Based Learning environment focus on deeper learning, which is a shift for teachers, as well as for professional learning leaders. If we are to effectively coach and support adult learners, we must also consider changing our own structures for implementing professional learning. We'll cover more on this in the Portfolio section of this module. Finally, in this ever-changing world, the definition of an "expert" is also ever-changing. As such, do not discount the deep value of creating Professional Learning Networks (PLNs) of your own to push your thinking, be a critical friend and pull from to help create your own vision. While it's important to explore the published research, it is just as important to balance that information with those who can be easily found and accessed via Twitter, LinkedIn or any other flexible, rigorous and responsive team of colleagues. While these pieces of work are certainly not exhaustive in the world of professional learning leadership research, they are important centerpieces that have served to influence thousands or leaders, if not millions. Oftentimes, the terms "Mission", "Vision", "Values", and sometimes even "Goals" are used interchangeably. But they are unmistakably different. View the following chart for a clear delineation, based off of DuFour's book, ​​Learning by Doing. Based on the chart above, in crafting your own vision for professional learning leadership, you must envision what teaching and learning will be like and provide a compelling vision of the future. While the chart above asks, "What must our school become to accomplish our purpose? ", you too may have to ask, "What must I become in order to accomplish my purpose?" It may be useful to reference this work by the non-profit group, Education Resource Strategies (ERS) in looking at where professional growth is heading. For a more pragmatic approach, take a look at this document from UC Berkeley with step-by-step instructions on how to create a vision for yourself. It is difficult to create a vision without first creating a mission, so you are encouraged to answer all of questions above to create a full sense of your leadership that can be clearly articulated. Developing Your Professional Vision discusses not only your core values and purpose, but also focuses on goals. A power point presentation is also linked to the article. Your CORE IDEOLOGY: What you stand for and why you exist as a professional, lasting qualities that in some cases will never change over the course of your lifetime. An ENVISIONED FUTURE: What you aspire to become, achieve, or create--a vividly described goal that will change only at long-term intervals. MISSION: Why do you exist? VISION: What must you become to accomplish your purpose? VALUES: How must you behave to achieve your vision? GOALS: How will you mark your progress? In order to determine your goals, it is helpful to ensure that you are using SMART goals. That is, they are Specific, Measurable, Attainable, Results-Based and Time-bound. This brief document gives an overview of SMART goals, while ​this document is a template to help craft some of your own. What is your vision for your work as a Professional Learning Leader? How did you create that vision? And what do you do to ensure that vision is implemented and balanced with the learning goals, needs and desires of the adult learners with whom you work?